When it comes to color correcting, nothing beats the almighty concealer. It works to cover everything from acne scars, large pores, age spots, dark circles and uneven skin tone. Although it is similar to foundation, what makes it different is it's formula. More so the texture, as it is quite thicker than most foundations. It is also slightly more pigmented, so it works to cover an array of problematic skin issues that a vast majority of foundations do not. The question remains; however, what are the best concealers of 2015? If you are searching for that healthy, sun-kissed glow without the sun than more than likely you will not only love a good bronzer, but appreciate one too. Bronzer is used to give your skin warmth, depth, and simply the obvious, natural looking color. The question remains, what are the best of 2015? 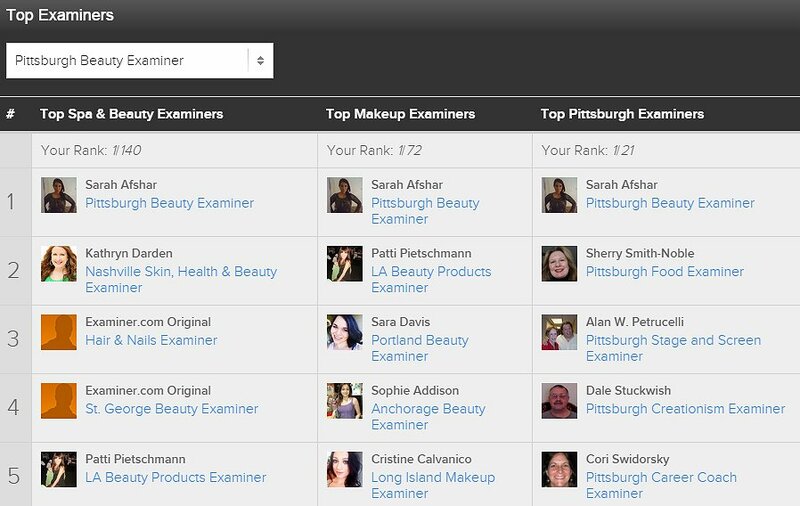 It is official, I am the number writer on Examiner.com for Beauty, for Makeup and for Pittsburgh. I have to say that I am extremely thankful, grateful and blessed by this honor. When Yahoo Voices! closed in 2014, I was searching for a platform to write. I looked at several options and was accepted to quite a few, but felt a strong disconnect due to censorship and the fact that these outlets were looking for certain content that was simply not in my forte. 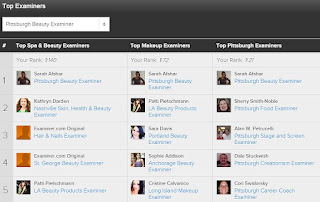 When I discovered Examiner, I was quite reluctant as they rejected several of my articles at first. Yes, at first Examiner rejected several of my articles; however, they believed me in enough to follow up with amazing constructive criticism. Truth be told, I never went to college for writing let alone journalism and literature. I have no academic credentials in the craft. I was a business major. I took maybe one course in writing. I knew I wasn't the most polished writer nor pristine content producer; however, I knew I had the potential to be eventually be, as anyone does. As time proceeded, I garnered a huge appreciation for the power of the pen. I did a lot of reading and independent studying. Even went on Coursera and looked at the adult learning academic writing courses to see if I could learn something. After taking Examiner's vital criticism towards my content, I am now able to flush out multiple non-fiction articles in a matter of minutes. And now, I can honestly say that I am a whitelisted contributor, so I don't have to go through editors before publishing my content. And my content has been featured via news where it has been republished on Google, Bing and Yahoo! news platforms. I have learned to love writing, my writing and appreciate it more than ever. If I can do this, you can also. Thank you Examiner for this honor. Sarah Afshar. Watermark theme. Powered by Blogger.